Forty calories means you can have two for breakfast. I wonder how much caffeine is in these. I rate these higher. 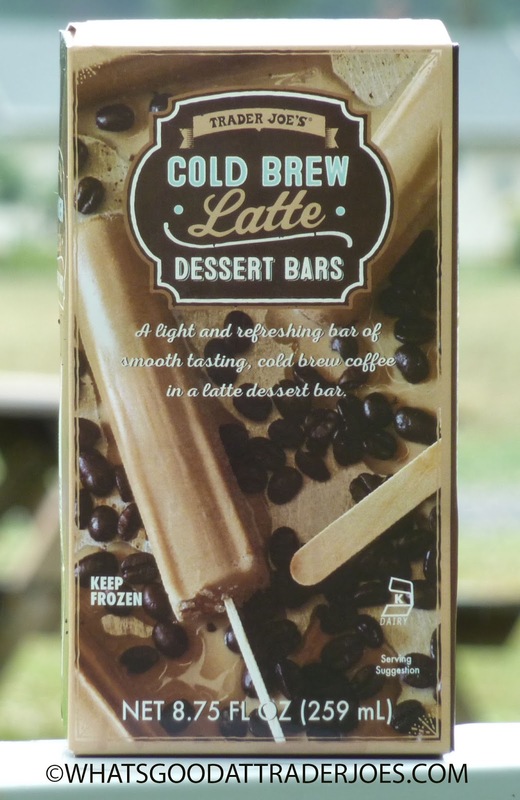 Yes, a bit lighter than real coffee (it *is* a popsicle bar) but the flavor of real coffee is right there. And I am glad they are NOT any sweeter. Too sugary would be a mess--they got these just right imo. I loooove coffee but had to pass on these because the dairy is bad news for me. I am a fan of these. They're perfect on a hot afternoon when I feel just a tad sleepy. I like that TJ's didn't go overboard with these, they're simple and great the way they are. LOVE these--perfect for those needing low calories, low carb alternatives for desserts. Those that can eat fancier stuff should. Don't ruin these by making them too anything else!